Meditation in the sage of Taos Mesa yesterday, looking north. I hope you all had a good holiday weekend. It was a busy one for me! On Saturday and Sunday I was giving a brief crystal grids workshop and doing some very intensive energy work with the shamanic mentorship group I'm part of. It was a powerful and engaging time with a few surprises thrown in. I was left feeling pretty wrung out afterward and decided to go up to Taos yesterday to decompress...and that turned out to be another day of intensive energy work and some exciting finds at Taos Gem and Mineral. So I'm glad to be returning to the studio for some peace and quiet! Look for more pieces coming this way soon! 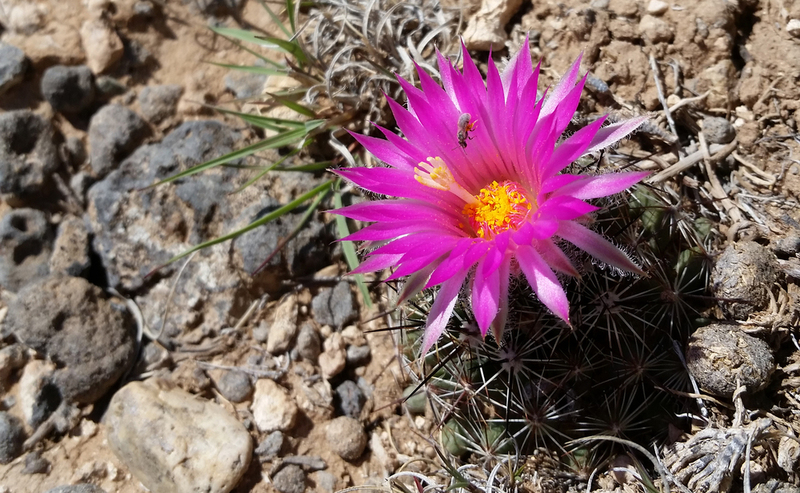 This tiny cactus flower greeted me on the mesa. It was the only one I saw there.